Like our Custom Made Drapes, we make each Roman Shade to order in our own Studio. The following are some of our "standard" Roman Shade Styles but we can make virtually any style shade in any size imaginable in your choice of over 400 fabric options. We can also add custom trims, borders and banding. Call one of our Sales Designers and let us make you a truly unique Custom Roman Shade for a lot less money than what you would expect. The Flat Roman Shade Style is the cleanest and most traditional style of Roman Shade that we offer. You may choose cord position and cord type and we can add decorative banding, border or trim to turn a simple Flat Roman Shade Style into a focal point. 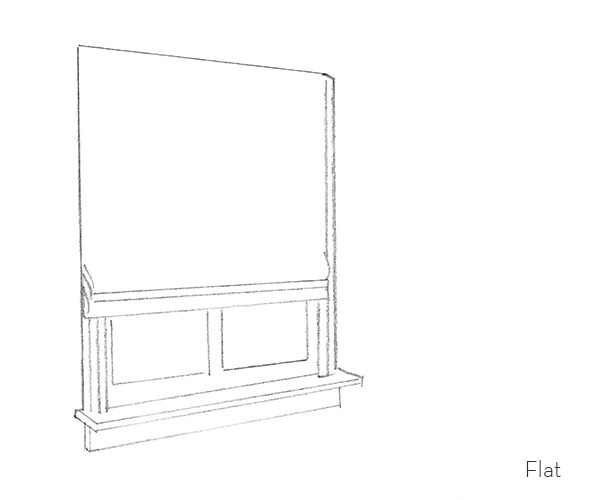 Flat Style Roman Shades are often layered beneath custom drapes to provide more depth and texture to a window. 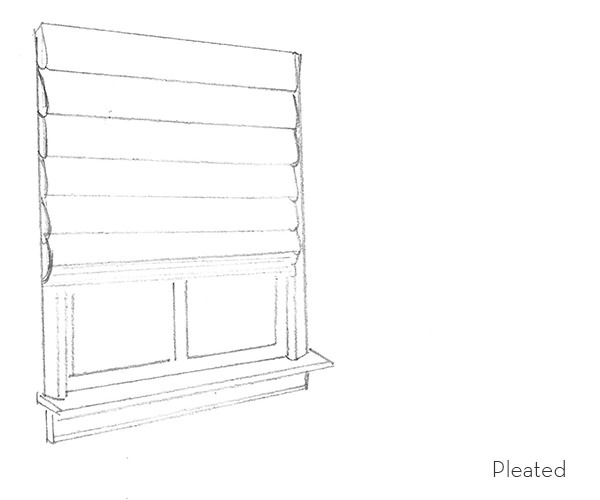 Our Pleated Style Roman Shade features 4-5 inch pleats which overlap. 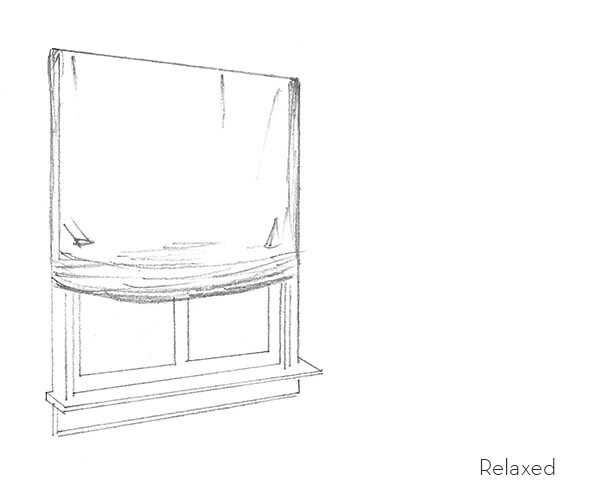 Like all of our Roman Shades, the Pleated Roman Shade is available as "Functional", meaning that it will fully open and close, or "Decorative" which means that the shade will remain fixed in position and will not open and close. 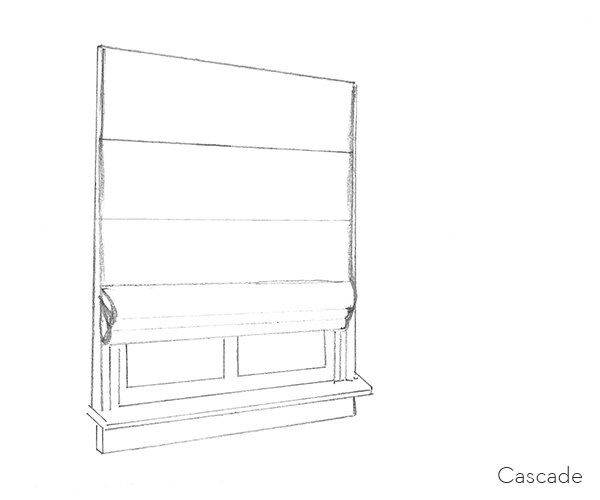 The Cascade Roman Shade Style is constructed with evenly spaced horizontal pockets reinforced with rods the Cascade Shade is a beautifully structured option. Similar to the Flat Roman the Cascade offers a flat tailored front. The Relaxed Roman Shade Style features a relaxed bottom of the shade and sophisticated softness while keeping the tailored look of the traditional flat roman style. 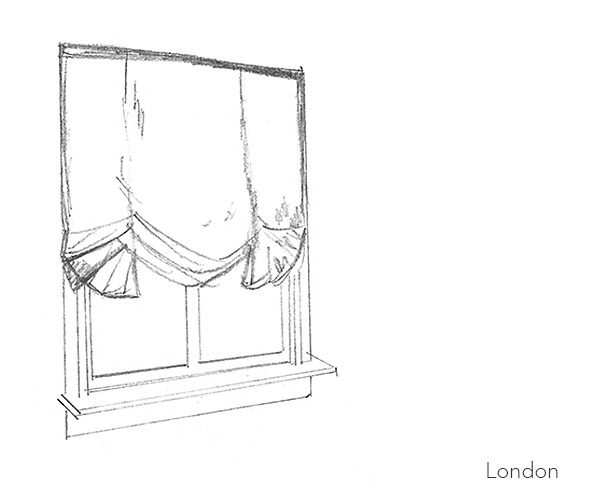 The London Roman Shade Style is gathered at the sides for a casual elegance & softness. When lowered the balloon shape is visible at the bottom of the shade. May also be made as Functional or Decorative.